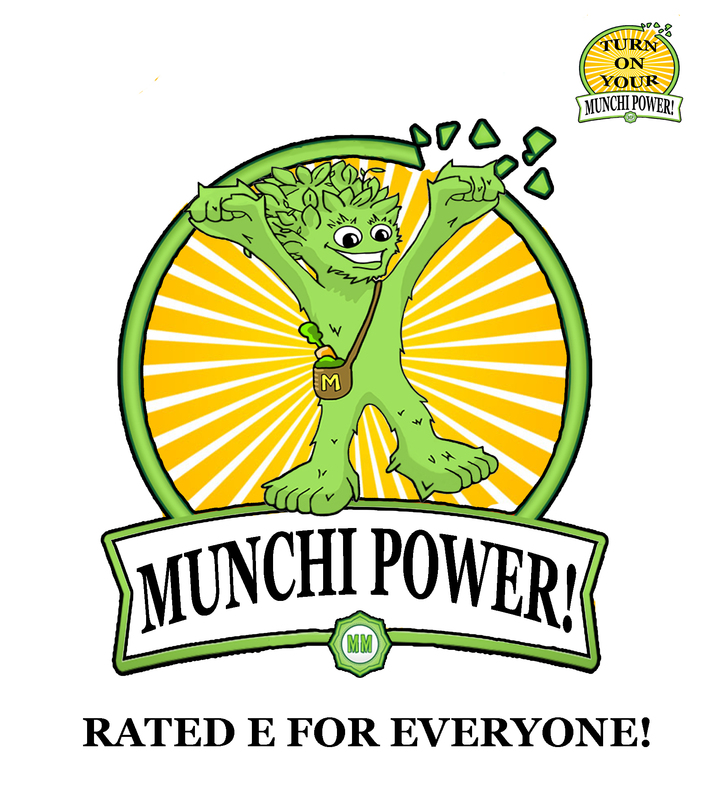 2 -GAME APP- On Google Play – Munchi Power! 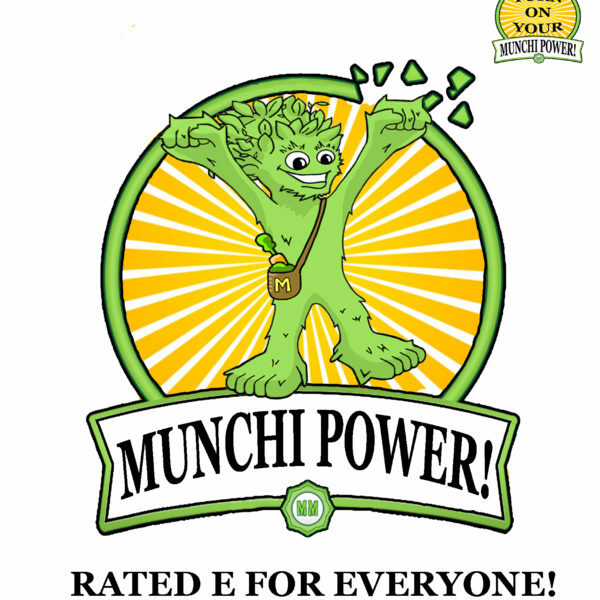 $3.01 – Munchi Power! 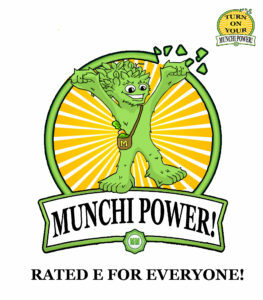 Kid’s game app Munchi Power! is made for android & has the feel of a cartoon. Its wholesome woo-hoo, nutritious fun! It has platform & vertical play, wild animals, ancient cave wind physics, wild river rapids & a Krud Castle with a Krud King Boss to beat! 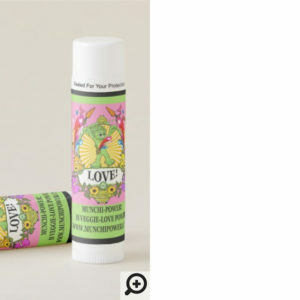 See images of game levels in the product gallery. See sample gameplay in video on Home Page from a rough draft that HAD 1 issue. Better now!! 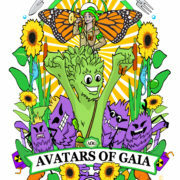 Eat nutritious Green Grub & win! 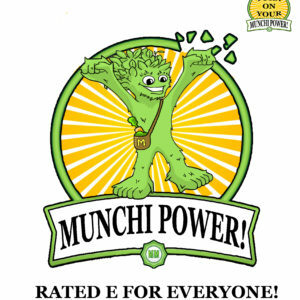 Eat no-no-nutrients & Krud Grub lose! If you have a moment, Please write a nice review on Google Play.THANK YOU! 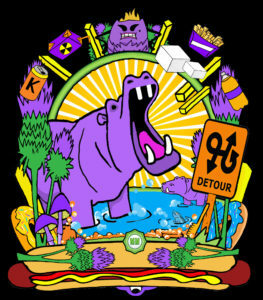 MUNCHIMONSTER wants to ride his rad bike to the Super-Salad jungle party. But due to a mischievous ‘detour trick’ played by henchmen, Fooey & Phartus, his bike is broken into pieces! Collect & assemble the bike parts to ride to the Super-Salad party in style! 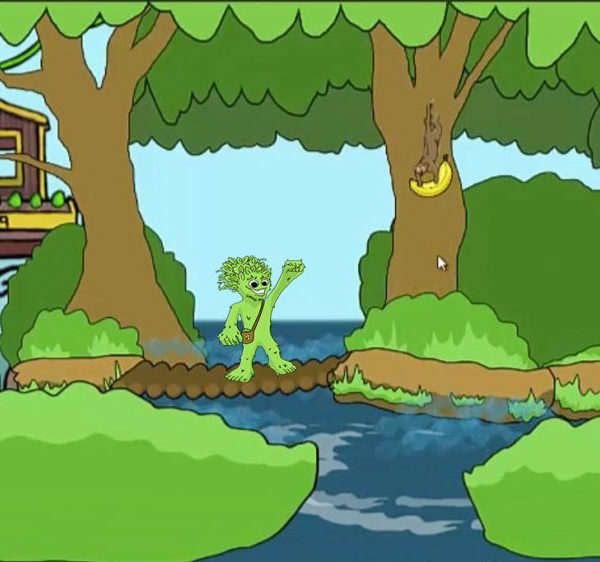 GRUMIUM CHUMS HELP Spring off them to avoid snapping hippos as you navigate wild river rapids. Catch an ancient cave wind, dodge white spider squads and soar about giant crystals. 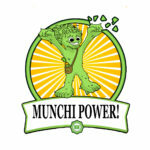 USE MUNCHI POWER!® to defeat the Krud King! Shut down the krud-grub factory. Operate a crane and mega-pincher to sort green grub from krud. Empty the Infinity Dumpster with the Hose and stop litter! Ride the factory platform belts to safety. Free the Butterfly Posse. Turn the toxic soda river back to glorious blue! 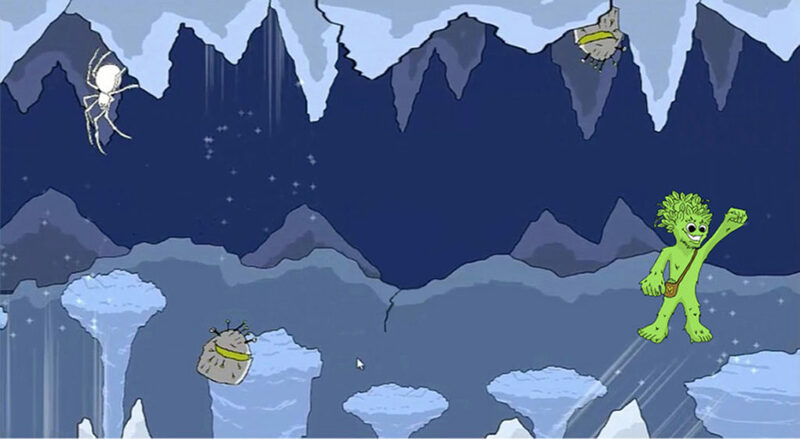 CHALLENGES: Fly Munchimonster’s Environaut, (carrocket ship), up Panther Mountain and escape biting panthers! Fangs! 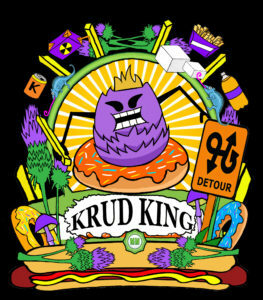 Aim apple projectiles at the Krud King & knock him out! 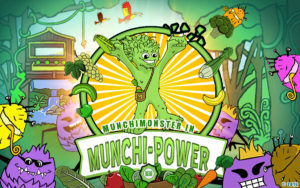 PRIZES: Collect prizes at Munchimonster’s treehouse. Plant magic seeds in his vegetable garden and see what grows! Join Munchimonster on a free-wheeling ride through the jungle. WHOOPEE! MUNCHIMONSTER says, ‘GIVE ME GREEN GRUB’! 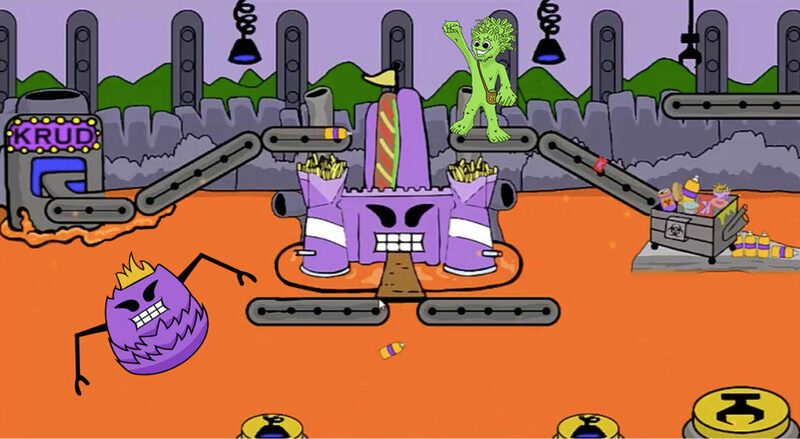 -PLATFORM PLAY Ride Krud Castle’s factory conveyor belt system! –PROJECTILES Beat the Boss at Krud Castle! Fire off Blamapples from Munchi’s Carrocket! 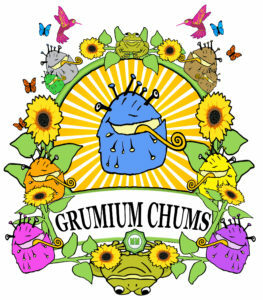 -BOING Bounce off the Grumium Chums for spring action! -HENCHMEN Clear your path! Stop Fooey & Phartus’ stinko dumpster. P.U! VIDEO SAMPLE OF GAMEPLAY FROM THE FIRST DRAFT OF GAME IS ON THE HOME PAGE! BUY the Game App on Google Play! GRUMIUM CHUMS HELP! 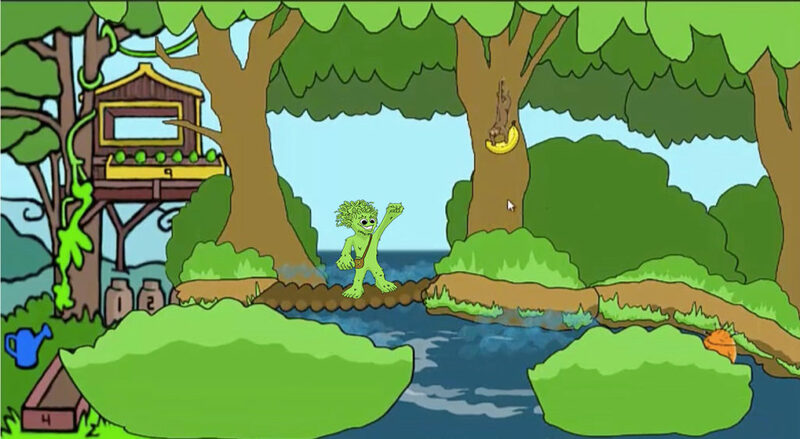 Spring off them to avoid snapping hippos as you navigate wild river rapids. 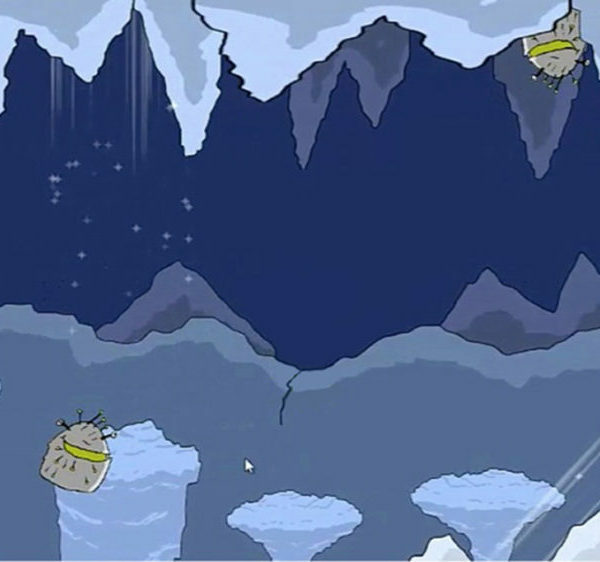 Catch an ancient cave wind, dodge white spider squads and soar over giant crystals. 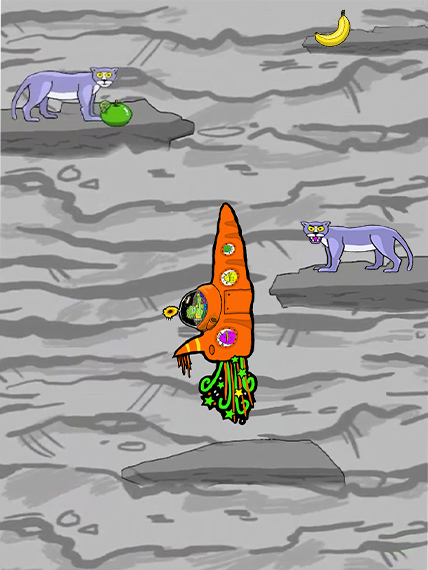 CHALLENGES: Fly Munchimonster’s Environaut, (carrot-rocket ship), up Panther Mountain and escape biting panthers! Aim apple projectiles at the Krud King to knock him out! -VERTICAL PLAY Fly Munchi’s rocket up Fang Mountain –PROJECTILES Beat the Boss at Krud Castle! Fire off Blamapples from Munchi’s Carroketship!